Naina engaging in a service project with Muslim students in India. Naina is a recently-graduated senior student at HKIS who has thought quite deeply about two issues that are priorities in our school community: service learning and student leadership. However, Naina has gone beyond offering her opinion or even initiating her own service projects. Through her AP Capstone course last year, she conducted a research study to understand the skills needed to successfully implement service projects that benefit the community. Following her study, Naina and fellow student Vedika attempted to implement these ideas in an extracurricular club aimed at incubating new service initiatives, which then became the basis for their Senior Project presentation in late May. As Naina and Vedika have now graduated, I felt it was important to capture their research for future discussion at HKIS. Our hope is that HKIS will evaluate its extensive service offerings – Service on Saturday, service interims, Humanities I and II in Action courses, as well as several other electives – in light of these findings. Thanks to both of you young ladies for sharing your message and experience with our school community. Now I’ll turn it over to you, Naina. During my four years at HKIS, I’ve had the opportunity to be involved in various community service experiences, such as the Service on Saturdays (SOS) program and service interims. When I first began volunteering in 9th and 10th grade, I saw myself as “just another volunteer” and didn’t believe that I could play a significant role in improving the lives of others. This mentality changed in the summer before 11th grade, when I joined a Bangalore-based NGO called Mantra4Change with the goal of launching a long-term project that improved education quality in low-income schools through technology. As the leader of my own project, I realized that I had the ability to initiate change and create a lasting impact. When I returned to HKIS in the fall of my senior year, I wanted to encourage other students to realize their own potential as community problem solvers. This article describes my research and education program that aims to empower students with the skills and attitudes necessary to launch long-term service projects. Community service is defined as non-paying work that is performed for the benefit of the community. Worldwide, over the past few decades, there has been a rapid increase in community service involvement among high school students. One of the reasons for this is that community service in high school may lead to an increase in political participation and a sense of civic duty among adults. For students, it could lead to personal growth and develop their personal and collective identities. In Hong Kong, particularly, the 15-20 age group makes up 58% of total volunteers, primarily because community service is a graduation requirement in many local and international schools. Despite the increase in community service both globally and in Hong Kong, there is a lack of discussion in the literature about the attitudes and skills that students need to effectively influence change in their communities. Instead, current research focuses primarily on the impact of community service on students. However, this is in contrast to the definition of community service, which is to create a benefit for the community. To fill this gap, my study focuses on equipping students with the attitudes and skills required to influence change in their communities. My study proposes applying a concept called “enterprise education” to community service for high school students. Enterprise education is defined as the development of competencies – knowledge, skills, and attitudes that are necessary to perform a job successfully – that enable individuals to influence change. Examples of competencies include creativity or problem solving. Since community service seeks to positively change existing conditions, my study hypothesizes that enterprise education is of relevance to high school students because it equips them with the necessary competencies to influence change. Thus, the purpose of my study was to design an enterprise education applied to community service (EECS) program to prepare students to influence social change in their communities. Particularly, my study determines the learning process and essential competencies of EECS because this information is crucial when designing an education program. How can enterprise education be applied to high school community service in Hong Kong? What are the learning process and possible competencies of EECS? To understand the essential competencies of EECS, I created a survey that employed a 5-point Likert scale. The competencies that participants suggested in the interviews served as variables. Participants had to rank the given competency from “not very important” to “very important.” Participants also ranked their top-10 competencies to increase the validity of the survey. Based on extensive interviews with teachers, NGO workers, and community organizers, I found the following. Learning process: EECS should be learned experientially by launching projects that solve real-world social problems. Students would need to identify the community problem, conduct a needs assessment, propose a solution, develop a plan of action, and collect impact metrics. Students would be taught how to do so through a combination of workshops and 1-1 mentorship with experienced practitioners. Program provider: Neither nonprofits nor schools have the time and resources to manage an EECS program. Thus, an external organization should be given the responsibility for EECS and partnering with schools and nonprofits as needed. Student requirement: Many participants believed that EECS should be optional to ensure that all students are interested in solving social problems and willing to learn how to do so. Hence, training and running projects with these students would be significantly easier compared to a different group of students that first need to convinced of the value of EECS. On the other hand, if the program is mandatory, all students develop competencies that lead to success in any life situation. Benefits: Firstly, EECS would build community among students, mentors, nonprofits, and disadvantaged groups when they come together to solve a community problem. Secondly, EECS would provide students with valuable skills for the real world. Student engagement: Maintaining student engagement would be a challenge. In order for students to be engaged, they need to find a cause that deeply resonates with them. This could be achieved through volunteering, which enables students to tangibly see the issues in their communities. Moreover, students in Hong Kong have a lot of homework, which would make it difficult for them to invest significant time into EECS. Influencing long-term social change: Many participants were skeptical that one student-run project could influence long-term social change. Initiating social change is a long process whereas student projects need to be accomplished in a short-term capacity. A possible solution is ensuring that each project is sustainable in the long-run. For example, different successions of students could pick up the same project and advance it or take it a different direction. My research provides a learning and skills framework for an education program that enables students to initiate and manage a project that helps influence social change. I hope that this study will inform educators, researchers, and practitioners on EECS. While I conducted research on EECS, my friend Vedika Vishweshwar (’18) and I founded “Leadership in Service,” an incubator for impact-driven service projects on campus. Our goal was to inspire students to launch service projects and equip them with the skills required to do so. Essentially, we wanted to put my research on EECS in action. What causes or social issues interest you? What skills do you have? What are your abilities? When have you or someone close to you experienced injustice? What is something you would like to change in your community? Once students had ideas for their service projects, Vedika and I worked closely with them to clarify their projects’ purpose, set goals, and create a timeline. We suggested NGOs to reach out to, helped them draft emails, connected them to more experienced mentors, and helped solve any other problems that they encountered on the way. We also organized three workshops. Our speakers included Farhan Faruqui, CEO of ANZ bank, Jennifer Thym, co-chair of Girl Scouts, and Iantha Scheiwe, associate director of ALEA. They spoke about project management, goal setting, leadership, and reaching out to NGOs. One of the service projects that we launched was an English reading program created by four students in partnership with the The Vine Church (pictured below). Their goal was to improve the reading abilities of the students. They created an English curriculum with the guidance of three teachers at HKIS, received 10,000 HKD of funding from the Jim Handrich fund, and conducted four sessions during the last semester. Next year, these students plan to expand their program by running more sessions and recruiting more volunteers. Other student projects included providing science supplies to underprivileged children in Nepal and promoting sustainable fashion. These projects have yet to be completed. Piloting an EECS program was a difficult endeavor. As I found in my research, maintaining student engagement was a significant challenge. Students at HKIS have a heavy academic workload and struggle to dedicate time to their service projects. However, unless students see their community service work as a priority, it is not possible to accomplish the ambitious goals that they set for themselves. Another struggle was providing students with the necessary resources to run their projects. Since we lacked connections with NGOs, we were unable to help students secure a partner for their projects. Without an NGO partner, students were unable to reach their target population. 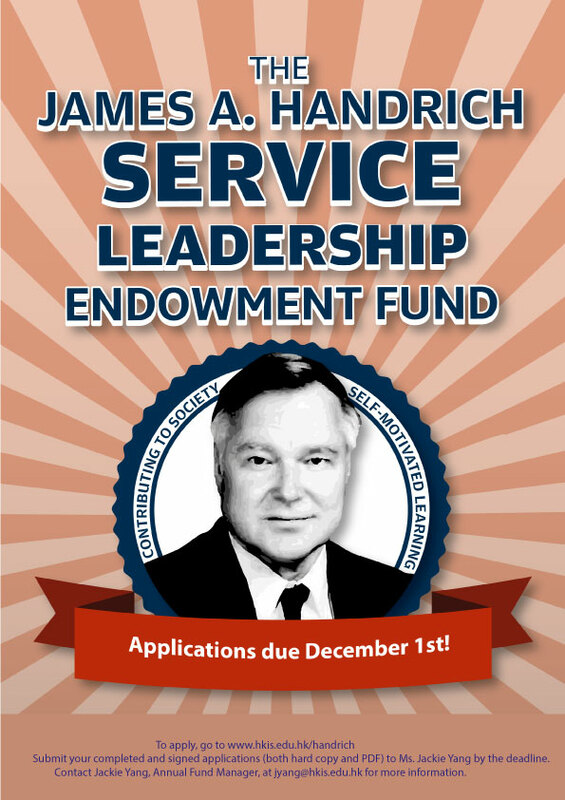 We also could not provide students with funding, which meant that students had to rely completely on the Jim Handrich fund. These are problems that we must combat before running this program again. While Vedika and I faced many setbacks during this journey, the experience of mentoring students was extremely rewarding. We began with a group of students who had a vague interest in a particular issue, but by the end of the year these students were able to manage a project that helped alleviate the given social problem. We hope that our students feel confident in their ability to create an impact on their communities. This entry was posted in social conscience education and tagged action research, Community service, service learning, service learning research. Bookmark the permalink.